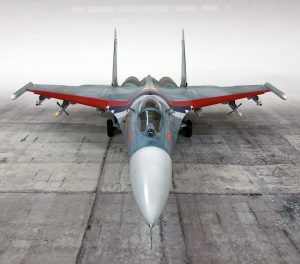 The new model in our gallery – Hobbyboss Su-27P 1/48 by Alexey Matvienko. This entry was posted in A.M.U.R.Reaver and tagged 1/48, Hobbyboss, Su-27. Bookmark the permalink.